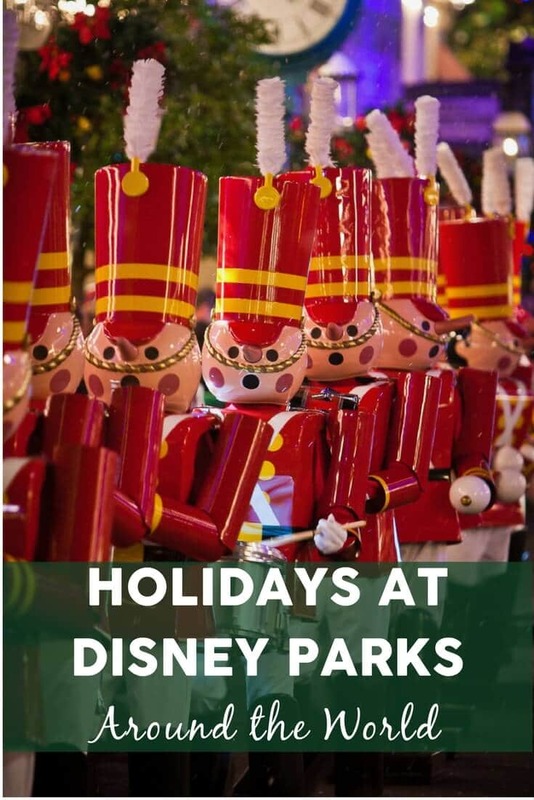 If you are a Disney Parks fan that also happens to be a big fan of Christmas festivities, you’ll really love Christmas festivities at your favorite Disney destination! We’re taking a look at how Disney celebrates the holidays at their parks and properties around the world. The holiday season has always been one of our favorite times of year to visit Disney Parks! The single biggest reason I want to get to Disneyland during the holidays is the holiday overlay on “it’s a small world”. The quintessential attraction and song get a holiday update and look even more stunning than usual with thousands of Christmas lights on the facade. Likely the most clever of the Parks overlays, Haunted Mansion holiday is inspired by Tim Burton’s “The Nightmare Before Christmas”. Fittingly, the Mansion is decked out from just before Halloween through the entire Christmas and New Year seasons. Floats, dancers, and favorite characters celebrate Christmas with a special parade down Main Street, USA. You’ll also see reindeer, toy soldiers, dancing gingerbread cookies, and of course, Santa in his sleigh! Enjoy festive foods from around the world, as well as holiday-inspired live entertainment celebrating Christmas, Hanukkah, Kwanzaa, and Diwali. The Three Caballeros lead a festive street party that includes special character greetings, musicians, dancers, and a celebration of Three Kings day. One of my favorite Disney Parks nighttime shows gets even more spectacular during the holidays. Water screens, dancing fountain, lights, and more use your favorite stories and cherished Christmas songs to celebrate the season. Goofy even gets in on the action with an “over-the-top light display” set to Trans-Siberian Orchestra’s “Wizards in Winter”. We’ve always loved Christmastime at Walt Disney World, and this year they’re giving us even more reason to visit! 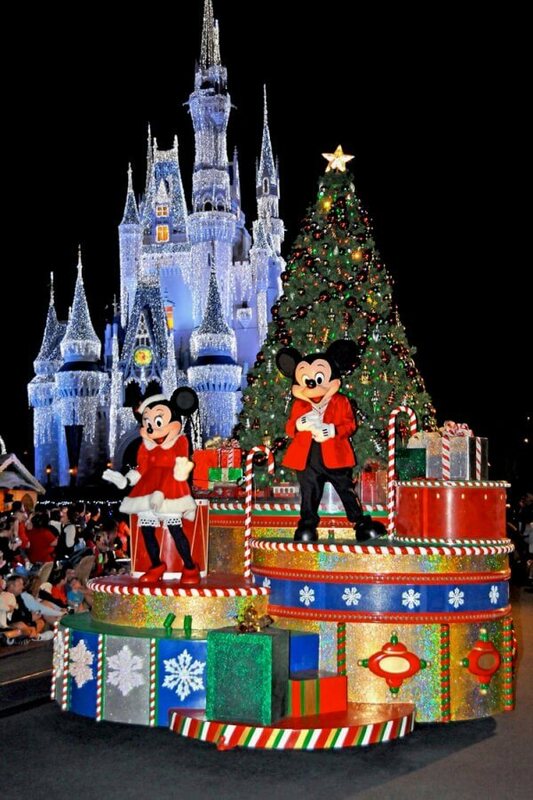 The Disney Christmas parades can be seen during Mickey’s Very Merry Christmas Party and during the day the week of Christmas Day. This is, in my opinion, the very best way to celebrate the holidays at Walt Disney World. 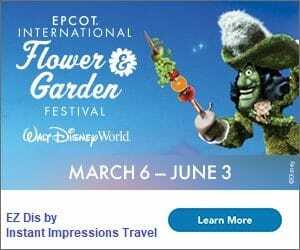 A hard ticket event, this does require special event admission; guests will be treated to exclusive entertainment, Disney’s Once Upon a Christmastime parade, hot cocoa and cookies, special character greetings, and more. That’s not even touching how festive and lovely the park is all lit up for Christmas! The Jungle Cruise becomes the Jingle Cruise as Christmas approaches. More festive, but every bit as cheesy and wonderful as the original! Don’t miss the transformation of the World-famous Jungle Cruise to the Jingle Cruise. It’s not as expansive an overlay as you’ll see at the Disneyland Resort, but it’s charming. I look forward to it every time! The Castle Dream Lights are still so stunningly beautiful. Watch each night as Elsa lights Cinderella’s castle during a short show, A Frozen Holiday Wish. 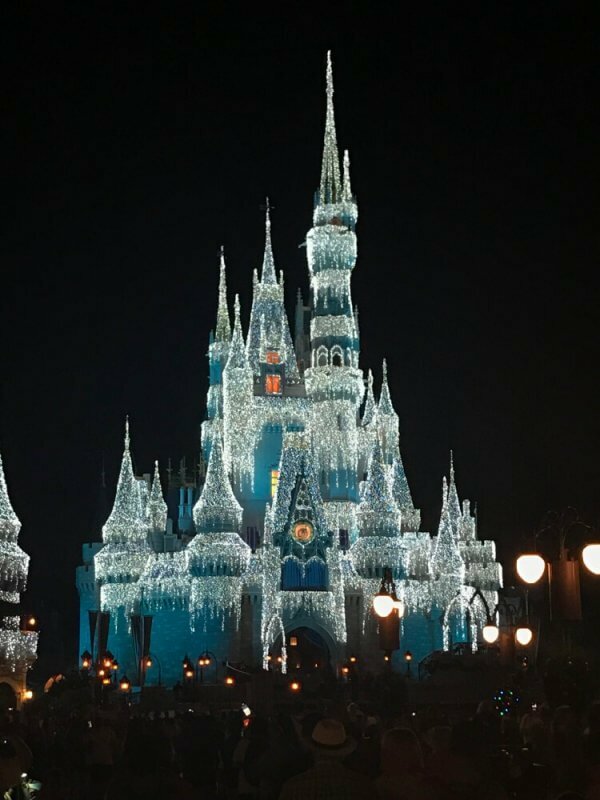 The castle with its dream lights is one of the most stunning things I’ve ever seen – and it never gets old! Each of the eleven World Showcase pavilions will share their holiday customs, including food, traditions, live entertainment, and more. Much like Remy’s Ratatouille Hide and Squeak, the Easter Egg hunt, etc, families can participate in a scavenger hunt of sorts by purchasing a map and helping Chip and Dale gather holiday decorations around the World Showcase. Second only to Mickey’s Very Merry Christmas Party to my family, the Candlelight Processional is one of our favorite Christmas activities in Walt Disney World. Celebrity narrators, and orchestra, and a huge choir tell the Christmas story every night from Thanksgiving to New Years Eve. The Candlelight presentation is beautiful and moving! Sunset Seasons Greetings – new for 2017! I’m so excited to see this celebration on Sunset Boulevard. Billboards will come to life, the Hollywood Tower Hotel will be transformed with amazing projections, and guest will find special character interactions. It will also snow on Sunset Boulevard each night! Each night on Hollywood Boulevard, the Chinese theater is transformed into a nighttime spectacular including lasers, projections, and pyrotechnics. Help rescue Santa, who has been kidnapped! Guests will also be treated to scenes from Mickey’s Christmas Carol, Beauty and the Beast, Pluto’s Christmas Tree, and The Nightmare Before Christmas throughout the night. If this is anything like the vignettes from the Tree of Life in Disney’s Animal Kingdom, I can’t wait to see it! 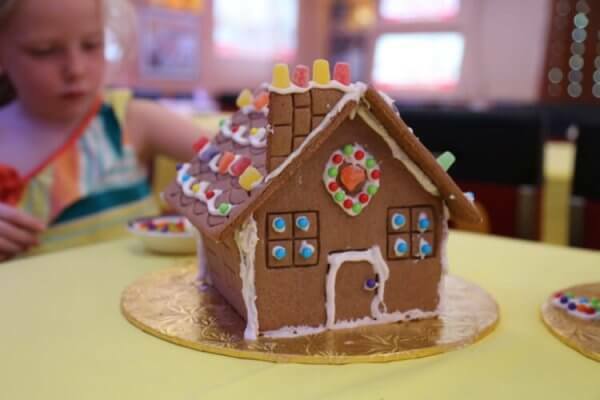 If you like Gingerbread, you’ll be glad to know you can build gingerbread houses on DCL Very Merrytime Itineraries, and visit life-size gingerbread houses at many of the Walt Disney World Resort deluxe hotels! Don’t forget to check out the beautiful resort hotels‘ decor, Christmas Tree Trail at Disney Springs, and more throughout the whole resort! Disneyland Paris is transformed with an enormous Christmas Tree, and decorations throughout the park. You can also catch Disney’s Christmas Parade (and snow!) on Main Street, USA. Enjoy a caroling sing-along and tree-lighting ceremony with Mickey and his pals! Listen to “back-to-back Christmas classics” from the Disneyland band and Mickey and Minnie. A Merry Stitchmas – new for 2017! Tons of Disney characters join Stitch on the Royal Castle stage for a great new seasonal show! Holiday Stage Shows – new for 2017! Sing Me a Merry Christmas! 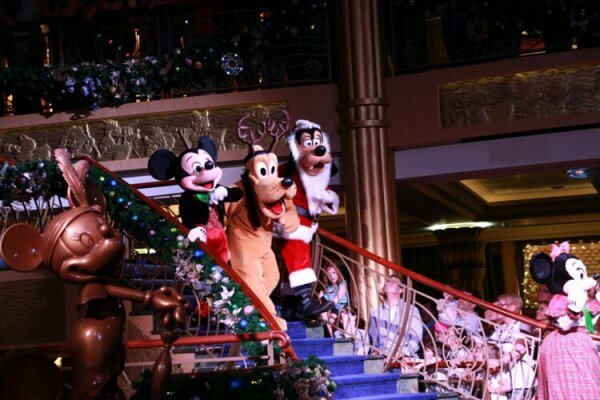 will entertain guests throughout the day, as Mickey and friends share your favorite Christmas carols and stories. A new nighttime spectacular, Goofy’s Incredible Christmas, uses projections on the Hollywood Tower Hotel and an original (new!) Christmas story. Themed to “storybooks filled with the Disney Friends’ Christmas Fun”, Christmas Fantasy includes special decorations and Christmas stories throughout Tokyo Disneyland park. Disney Gifts of Christmas – new for 2017! A special nighttime spectacular uses projections on Cinderella Castle, etc. Enjoy favorite stories and familiar Christmas music every night in the Castle Forecourt. Twice every day, enjoy a super cool looking parade that tells seven stories of Christmas celebrations among a variety of Disney characters. These floats look so cool. I guess we’ll have to get to Tokyo at Christmas time, too! Almost every night during the Christmas season, guests can enjoy a special Christmas fireworks show. Tokyo Disney Sea, meanwhile, is themed to “spending Christmas with dear ones”. Colors of Christmas takes place each night in the waters of Mediterranean Harbor. It has been updated for 2017 and includes a gigantic Christmas tree at the center of the harbor, lights, Disney characters – including Gelatoni and Stella Lou! – and snow. Also taking place at Mediterranean harbor, Mickey and his pals present their favorite holiday traditions in a lively, 25-minute show. A special holiday show at the Enchanted Storybook Castle forecourt takes guests to the “Mickey and Friends Christmastime Ball”. Every night, join a quartet of carolers and sing along with your favorite Christmas songs. As it gets darker, guests will help count down each night to the tree lighting. Carolers will also sing to guests as they leave for the night. I think that’s such a magical way to end your night at the park! The Enchanted Storybook Castle in Shanghai Disneyland is gorgeous every day of the year… I’d love to see it decorated for Christmas! 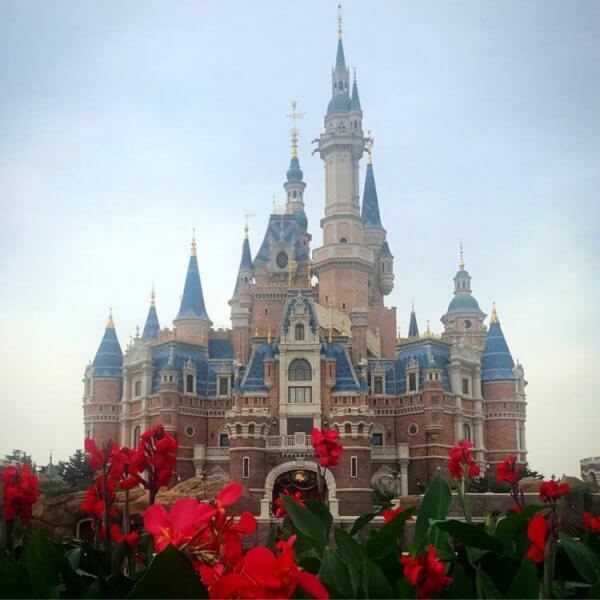 Shanghai Disneyland definitely focuses on Chinese New Year more than any other holiday, but they don’t leave out Christmas and other winter celebrations! There has been nothing official announced, but last year guests definitely felt the Christmas Spirit throughout the park. Characters greet guests while wearing holiday attire, and a stunning Christmas tree (and nightly tree lighting ceremony) are visible in Gardens of Imagination. Disneytown, Shanghai Disneyland Hotel, and Toy Story Hotel will also have themed decorations throughout each property. 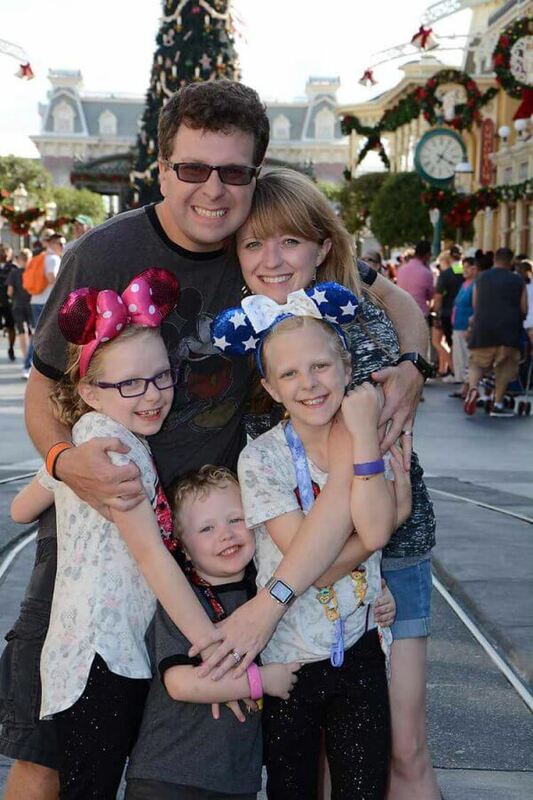 BONUS – celebrating the holidays on a Disney Cruise! Very Merrytime Cruises include special entertainment and programming, as well as breathtaking decorations in the ships’ atrium. Don’t forget to check out the Very Merrytime sailings on Disney Cruise Line! That is perhaps our favorite way to celebrate the holidays, Disney-style! Which holiday celebration would you most like to experience?! I’ve always wanted to go out to California to see all of their Christmas stuff! Especially the famous Haunted Mansion overlay. So much to do and see at the Disney Parks! 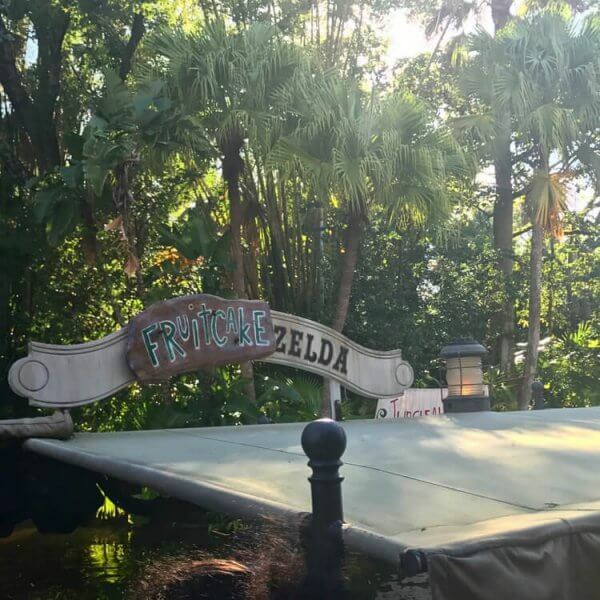 I still have yet to see the Jingle Cruise! Wow!! So much Disney to discover 🙂 Now I need a million dollars to experience it all. I totally agree! We planned to go next year for a runDisney event that is now canceled, but I think we’ll still try to make it a priority!